As the MHRA announced that it would be convening an Expert Working Group (EWG) to assess the risks and benefits of opioid medicines and see if current UK regulation is up to scratch, Merck & Co announced a deal with King’s College London (KCL) and Wellcome to investigate a new class of painkiller that could provide an alternative to opioids. Known as MSD outside of the US, the big pharma has signed a collaborative licence deal with KCL to investigate a class of drugs that blocks a protein known as HCN2, which has been shown to play a role in chronic pain. HCN2 can cause a continuous sensation of pain when electrical signals are passed through pain-sensitive nerve fibre. Research conducted at KCL shows that blocking activity of HCN2 in animal models can deliver effective pain relief without side effects. Meanwhile, Pfizer and Eli Lilly announced more positive results from a phase 3 study of their own non-opioid pain drug tanezumab. In the study, treatment with tanezumab 10 mg met the primary endpoint, demonstrating a statistically significant improvement in chronic lower back pain (CBLP) at 16 weeks compared to placebo. The tanezumab 5 mg arm demonstrated a numerical improvement in pain, but did not reach statistical significance compared to placebo at the week 16 analysis. This is consistent with the drug’s results in osteoarthritis trials, where smaller doses were found to be less effective. Tanezumab is also being investigated for cancer pain due to bone metastases. But the FDA allowed trials to restart in light of the opioid addiction crisis that has been linked with hundreds of thousands of deaths across America and has prompted action from the government – NGF inhibitors do not have the same addictive potential as opioid drugs such as fentanyl. But there was less positive news for Pfizer in rheumatoid arthritis – the company was forced to move patients to a lower dose of its blockbuster inflammatory diseases pill Xeljanz in a clinical study, after a safety signal emerged in the trial of patients at high risk of cardiovascular events. A janus kinase inhibitor (JAK) class drug, Pfizer has produced Xeljanz (tofacitinib) as an oral alternative to injected anti-TNF class drugs such as AbbVie’s Humira (adalimumab) and others, which are approved in a range of inflammatory diseases. Global sales were nearly $1.8 billion in the full year for 2018, up 32% compared with the previous year, making Xeljanz an important driver of sales growth for Pfizer. The US pharma said the signal had emerged in the study A3921133, which was required by the FDA as a post-marketing requirement for Xeljanz. It is taking action after the study’s Data Safety Monitoring Board warned of a safety signal in a study arm where patients received a twice daily dose at 10 mg. The board noted that in patients treated at the higher dose there was a “statistically and clinically important” difference in occurrence of pulmonary embolism, compared with patients in a control group treated with tumour necrosis factor inhibitor (anti-TNF) drugs. There was also an increase in overall mortality in the higher dose arm compared with the low-dose and anti-TNF arms. AbbVie’s own JAK inhibitor upadacitinib, which it hopes will help it diversify beyond Humira, was granted Priority Review by the FDA for moderate to severe rheumatoid arthritis (RA) this month. This month Janssen and ViiV reported positive data for their once-monthly injectable HIV combo regimen in two phase III trials. The combination of ViiV’s experimental integrase inhibitor cabotegravir and Janssen’s Edurant (rilpivirine), injected every four weeks, could change HIV treatment from 365 dosing days per year to just 12, noted John Pottage, ViiV’s chief scientific and medical officer. Following an initial announcement of positive results last year, detailed data from the two trials was presented at the annual Conference on Retroviruses and Opportunistic Infections (CROI). The ATLAS study met its primary endpoint, with cabotegravir and Edurant demonstrating non-inferiority compared to a standard of care, daily, oral three-drug regimen. Another study, FLAIR, also met its primary endpoint with the once-monthly treatment demonstrating non-inferiority to ViiV’s Triumeq (abacavir/dolutegravir/lamivudine-ABC/DTG/3TC). Pottage said that the company was also encouraged by patient preference data showing that nearly all participants in both studies who switched to the long-acting injectable regimen preferred it over their prior oral therapy. Its main rival in the space is Gilead, whose triple therapy strategy has led them to dominate the market – having a 52% share compared to ViiV’s 22%. Gilead argues that meddling with this successful treatment formula could run the risk of lowering defenses to drug-resistant HIV. At CROI the company announced positive phase I results from trials of its novel, long-acting capsid inhibitor GS-6207, as well as phase III data demonstrating non-inferiority for once-daily Descovy versus once-daily Truvada for PrEP, setting the drug up for approval in this indication. 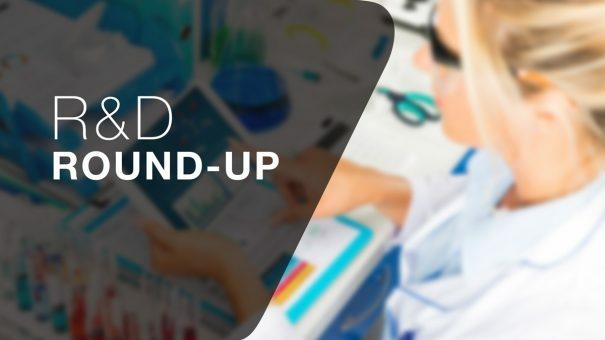 But Gilead was not so successful in nonalcoholic steatohepatitis (NASH) this month – the company’s top late-stage drug selonsertib, for patients with compensated cirrhosis due to NASH, failed a phase III trial. Only 14.4% of patients treated with an 18 mg dose and 12.5% of patients treated with a 6 mg dose achieved this endpoint, compared with 12.8% on placebo. For more R&D views and analysis check out our latest issue of Deep Dive on R&D Innovation.